Teachers Union March Photography. 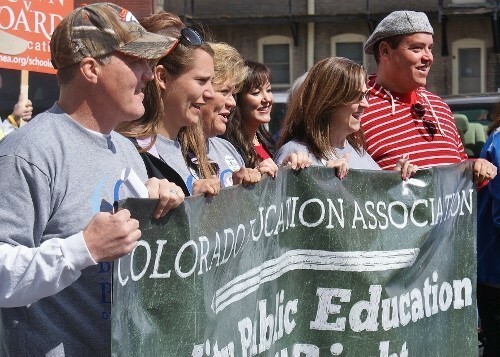 Chris Goodwin has just published a new set of photos titled Teachers Union MarchDenver teachers and supporters march to commemorate 60th anniversary of the US Supreme Court decision, Brown vs Board Education, that ruled school segregation unconstitutional. Images of teachers and students marching with signs and banners.View Chris Goodwin’s portfolio here.